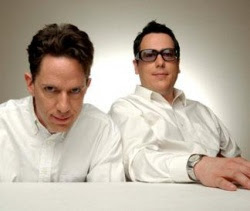 - They Might Be Giants with Michelle L'Amour at Metro. Doors open at 8 p.m., $25. More info and tickets. - The Damnwells, The Heyday and Penthouse Sweets at Double Door. Doors open at 8 p.m., $12 advance, $14 at door. More info and tickets. - Bound Stems, Gold and Spiller Whale at Empty Bottle. 10 p.m., $8. More info and tickets. - Smashing Pumpkins with The Frogs at Aragon Ballroom. Doors open at 6 p.m., $45. More info and tickets. - Eleventh Dream Day and John Langford at Hideout (benefit show for Goldie's Place, a support center for people who are homeless). 7 p.m., $12 advance, $15 at door. More info and tickets.